A subject inspection into the teaching and learning of Home Economics in the school took place on Wednesday and Thursday of this week. Feedback provided was very positive. The full report will be available on education.ie in due course. 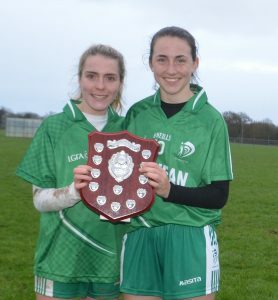 The school congratulates Ciara Banville and Sarah Harding Kenny who recently represented Loreto, Wexford on the Leinster Post Primary Schools Inter Provincial football team. Leinster won the Shield defeating Connacht in the final by 1-05 to 0-02. The school extends its best wishes to 3rd and 6th year students who will be undertaking their mock examinations over the coming fortnight. All students are strongly encouraged to prepare very carefully for these examinations as the experience to be gained from sitting full papers under examination conditions is valuable practice for what lies ahead in June. However, mock examinations should not become a source of undue stress for students. They are, simply, very useful practice for the state examinations. No college places will be offered on the strength of mock examination results! 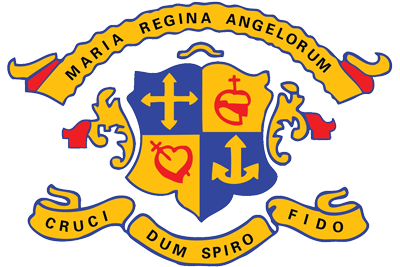 Loreto, Wexford has a very detailed School Plan that presently runs to 395 pages. The plan may be viewed on our website – www.loretowexford.com. The plan is developed primarily by the work of the school’s planning group that meets every Friday at lunchtime. The group is made up of representatives from staff, students and parents.